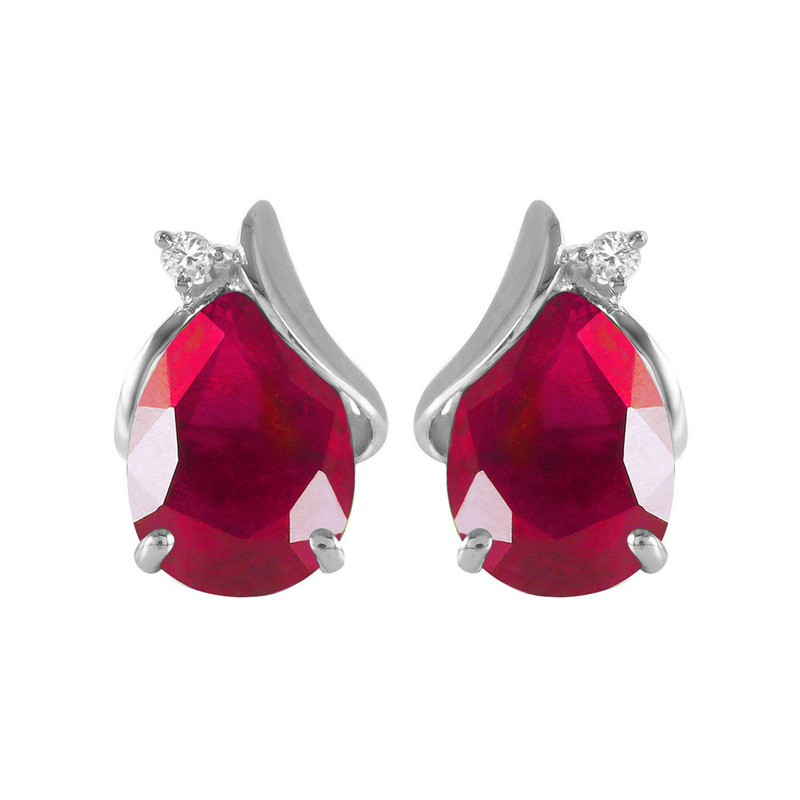 Ruby & diamond stud earrings handcrafted in solid 9 carat white gold. Two natural rubies, grade AA/VS1, total 5 ct, two diamonds, SI-2/J, total 0.06 ct for both earrings combined. Pear cut. Post with friction back to fasten.